PHN Warped Wednesdays | EDM | Coldplay – ‘A Sky Full Of Stars’ ~ Phresh Hott New! 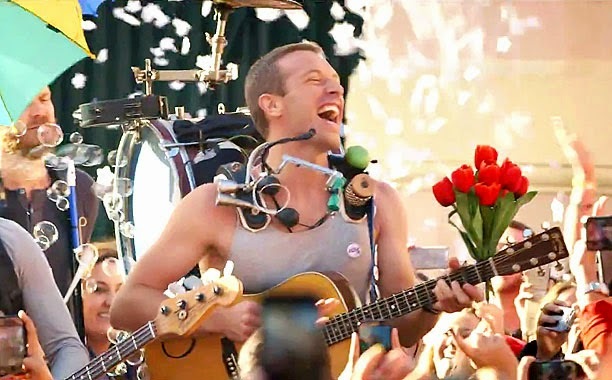 PHN Warped Wednesdays featuring British alternative rock band Coldplay “A Sky Full of Stars”, which was release as the second single from their sixth studio album, ‘Ghost Stories’ in 2014. The band co-wrote and co-produced the song with Swedish DJ and producer Avicii, plus producton assistance from Paul Epworth, Daniel Green, and Rik Simpson. The single ‘A Sky Full Of Stars’ makes the band’s first dance and EDM track with house inspirations. Click Play and WATCH the video!!!!! Feel free to leave a comment or rate your opinion!